Coming into the New Year, people begin creating their travel plans and because we believe every vacation should be a dream vacation, we are giving all of our customers free money to take their vacation to the next level. With three months left in winter, national travel franchise Dream Vacations is making it rain money for its customers by giving them up to $300 to spend on their vacations. 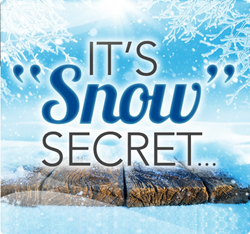 “It’s Snow Secret” is for bookings made Jan. 9-16, 2017, for vacations Feb. 16-Dec. 31, 2017. Vacationers can use their vacation credit toward a variety of amenities including but not limited to specialty restaurants and cocktails, spa treatments, excursions and more. For more information or to book a dream vacation, please visit http://www.DreamVacations.com or call 855-407-1466. Dream Vacations A CruiseOne Company is part of World Travel Holdings, the world’s largest cruise agency and award-winning leisure travel company. As an experiential brand, Dream Vacations is the only travel franchise opportunity to have a name that speaks to the variety of vacation experiences its franchisees sell. With unrivaled buying power, franchisees can provide competitive prices and exclusive offers when selling memorable vacation experiences such as cruises, resort stays and land tours. For more information on Dream Vacations, visit http://www.DreamVacations.com. Like Dream Vacations on Facebook at http://www.facebook.com/Official DreamVacations.